In the field of smart environments, many devices and multimedia-oriented connected objects have gained a significant attention in recent years. There is a critical need to offer to users flexible and efficient service selection among a large set of candidates based on their surrounding environments, the user's current needs and situations. 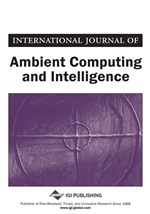 This article aims to provide a new Generic Context-aware Profile ONTOlogy (GCxPOnto) for a semantic description of heterogeneous profiles with a situations management facility related to smart environments. Based on the GCxPOnto ontology model, a two-layered architecture was proposed. It includes a local server with a sematic profile modeling and a central Cloud that provides efficient situation management and good scalability. This article is divided into three phases: profile clustering, situation management, and multimedia information dissemination related to smart services. The experimental results show a good response time and an enhanced situational accuracy. Smart environments are in the progress of merging with many smart devices and multimedia oriented connected objects in the last few years. They build a giant network of things and peoples to improve users’ safety, enhance the accuracy of situation identification and provide personalized comfort decision-making capabilities in real time. Smart sensors and actuators are deployed in ambient environments for real-time context data acquisition and decision. There is a variety of data and dissemination of information from services related to the field of smart environment (e.g., social activities, location-based services or multimedia alerts) which presents a problem of processing a more complex set of contextual data in a set of emergency situations. So, we need to rethink about efficient context data management for accurate and timely decision making and fast information dissemination strategies across distributed smart environments. In such a domain, there are a large number of heterogeneous specific users’ profiles related to handheld devices, connected objects and smart-homes. These profiles are highly dynamically changing according to different contexts, such as the environment, context monitoring and its social activities. As a consequence, there is a critical need to offer users a flexible and efficient context-aware system that can quickly provide appropriate services and adapt multimedia information according to real-time changing situations. A very promising solution is to find an efficient and automatically extensible framework according to a large number of different users’ profiles, hardware foundations and remote computation capabilities (Remagnino & Foresti, 2005). Thereby, cloud computing adoption will play an essential role particularly in ensuring a significant visibility gap over delivery of quality applications and multimedia services. Real-time situation identification is increasingly difficult for an individual user (or community of users) to efficiently provide and dynamically deploy suitable services during his mobility with different usages. For instance, a user's contextual information dynamically changes at different places (e.g., body warm when running outside as opposed to running on a treadmill at home) and effectively with various tasks (e.g., pulse during resting versus exercising). The smart environment must handle continuous and variant context data that monitored and collected from different sensors during different periods of time. Then, the system must have a useful and precise contextual information to identify right situations of users on the right time and on the right place and presenting suitable services according to their urgent situations and current needs (which is crucial in the e-health domain). In centralized servers, the execution of such actions would result in inflexible and non-scalable systems. Recently, several adaptation platforms and middlewares (Aguilar, Jerez, Exposito, & Villemur, 2005; Anagnostopoulos & Hadjiefthymiades, 2008; Da, Dalmau, & Roose, 2014; Gherari, Amirat, & Ousslah, 2014; Naqvi, Preuveneers, & Berbers, 2014; Forkan, Khalil, & Tari, 2014; Gyrard, Bonnet, Boudaoud, & Serrano, 2016; Bansal, Chana, & Clarke, 2017; Liouane, Lemlouma, Roose, Weis, & Messaoud, 2018) are intended to support many different services, such as to monitor, to analyze and display information to users. These platforms provide the means for identifying specific situations with specific profiles (i.e. services descriptions). However, developing a smart context-aware mobile application using current platforms is a cumbersome task. The reasons are the following: (1) – they provide several components for each specific service profile; If the user context evolves rapidly and the user mobility introduces a higher degree of heterogeneity and dynamicity, the system may be overloaded, (2) – the specification and storage of large amounts of heterogeneous profiles and many comparisons have to be computed and updated for each context change, and (3) – the efficient selection of services among a large set of candidates has been rarely addressed in middleware research.